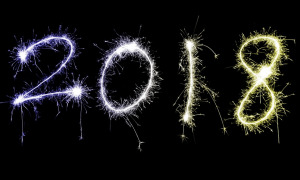 For those who may have noticed, there have been no best of lists coming from yours truly since 2014; sadly, the chronic health problem that has reduced my previous writing pace to a crawl continues without much respite. 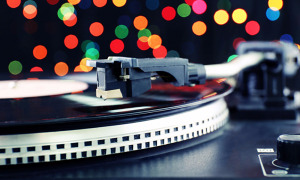 My best of the year lists have always been predicated upon having reviewed the releases chosen, and with only 29 CD/Box set reviews to choose from this year (and with those choices, more than ever now, always representing music that moved me in a big way), there's simply no way to come up with the big lists I used to compile. Still, as John Cleese once said in a Monty Python sketch: "Adopt, adapt and improve." And so, after a three-year absence, I figured I'd throw in a top ten for jazz and top five for beyond (meaning: anything else), both including a mix of new releases and reissues/archival finds. But to let folks know that these two lists only scratch the surface of all the music I've been privileged to hear this yearand that, as ever, there are far more "best of" titles than even my previously large lists includedI'll also add, at the end (and for anyone interested), a list of releases would have been reviewed, had it been possible. 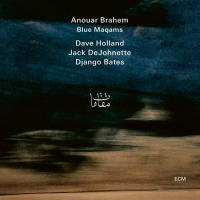 For his first album with bassist Dave Holland since 1998's Thimar (ECM), Tunisian oudist Anouar Brahem recruited a kit drummer for only the second time in his tenure with the label. 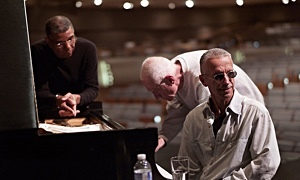 And what a drummer: Jack DeJohnette's longstanding relationship with Holland meant, between the three of them, an intrinsic chemistry that imbued the entire session. The addition of pianist Django Batesmaking his first appearance on the label in more than 20 yearswas the true "X" factor; his irrepressible sensitivity and empathy, in particular with Brahem, turned an already great recording into one that deserves to be considered as a classic in the label's massive discography and almost 50-year existence. 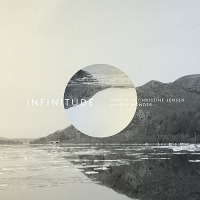 Any new music from sisters Ingrid (trumpet, electronics) and Christine (alto and soprano saxophones) Jensen is worth celebrating; the sibling empathy they share translates into a rare and specific chemistry. With Christine's star on the ascension as a composer for her two previous Jazz Orchestra recordings, Infinitude scales things down to a more intimate quintet, featuring longtime partners Fraser Hollins (double bass) and Jon Wikan (drums), alongside über-guitarist Ben Monder, who brings even greater atmospherics and virtuosity to an album already brimming with both...and a whole lot more. 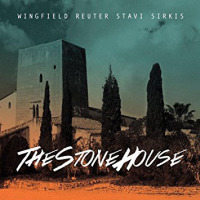 The album that was never meant to be, The Stone House was part of a six-day, (planned) three-session set of recordings at the titular Catalonian studio. Guitarist Wingfield, touch guitarist Reuter and drummer Sirkis had already recording enough music, on the first of two planned days, for the subsequently released Lighthouse (Moonjune), so when Stavi arrived early for his part in the following session and hearing what the other three had accomplished, the bassist jumped at the chance to join in for a day's worth of in the-moment recording that yielded this exceptional release. 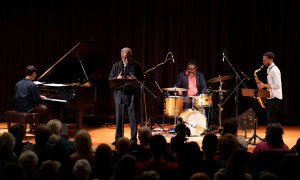 This is neither your grandfather's jazz nor even your father's; instead, this quartet of forward-reaching musicians have fashioned, with both The Stone House and Lighthouse, a new improvisational language...a new way of doing things for the new millennium. Unrelenting in its daring, and not for the faint-at-heart, this quartet combines aggressive interaction with surprising moments of beauty. The Stone House is, indeed, a litmus test against which other contemporary improvised music must surely now be judged. 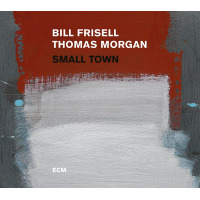 Impressing with subtlety, nuance and mitochondrial-level interaction rather than "look at me" pyrotechnics, this debut duo recording with bassist Morgan represents guitarist Frisell's first ECM session as a leader/co-leader in, well, decades (though he has appeared on the label as a guest as recently as 2014). As expected, this is a gentle, often whisper-level recording of profound beauty, where music trumps virtuosic concerns every time, even though both players are undeniable masters of their instruments. 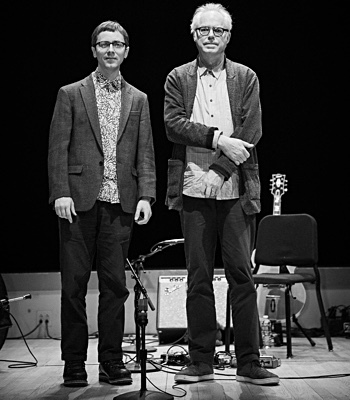 Whether or not Frisell remains recording for the label is uncertain, but what is certain is that this duowith a summer of festival dates now behind them (including a stellar visit to the 2017 TD Ottawa Jazz Festival)certainly deserves to continue touring and being documented. 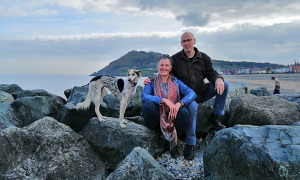 Hopefully there will be more to come from these two gentle souls who seem to connect so deeply that words become unnecessary. Percussionist Cline has a long career with a relatively small discography as a leader, so any time he releases an album it's worth taking note. 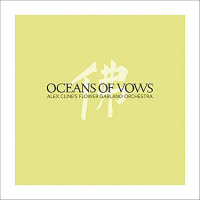 With Ocean of Vows, however, he has outdone himself with his most ambitious recording to date: two CDs, each featuring five-movement suites performed by a twelve-piece band including some of the left coast's best, amongst them guitarists Nels Cline and GE Stinson, violinist Jeff Gauthier, percussionist Brad Dutz and keyboardist Wayne Peet. 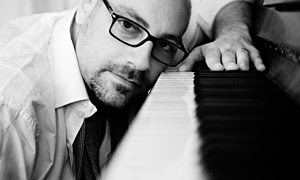 Shaping music that ebbs and flows with characteristic élan, Cline and his Flower Garland Orchestra explore a very personal juncture of form and freedom, in the context music that resonates with deeply felt spirituality. The world lost one of its greatest guitarists this year when John Abercrombie left us at the age of 72. 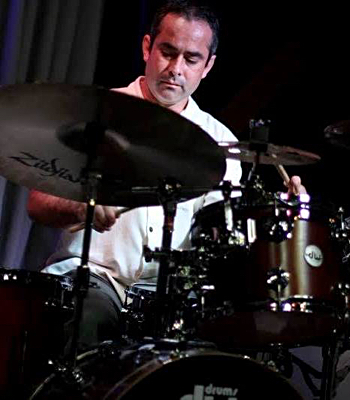 Released a few months before his passing, Up and Coming is his second ECM release with a group that has alsobarring one exception (drummer Joey Baron, replacing Billy Hart)released a couple of fine albums under pianist Marc Copland's name over the past 20 years. 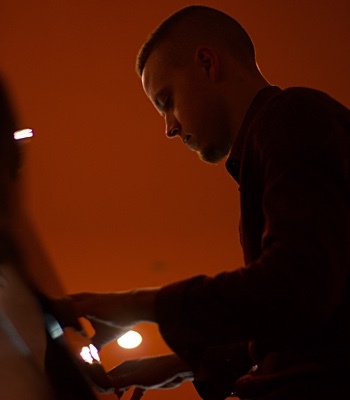 Whether under Abercrombie's or Copland's name, and whether live (as demonstrated in a sublime 2014 Ottawa appearance) or in the studio, Abercrombie, Copland, Baron and bassist Drew Gress delivered music of remarkable depth and profundity. On Up and Coming, using compositional forms to create contexts for collective and individual expression, this quartet created music that rarely even reached a simmer but was, in its exploration of delicate touch and keen focus, as captivating as anything more obvious. RIP John: gone, but never to be forgotten. 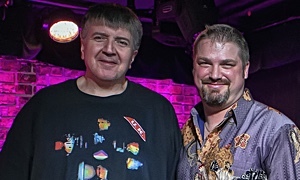 With co-founding bassist Glen Moore's departure from the group after nearly 50 years playing together with guitarist/pianist Ralph Towner and reed/woodwind multi-instrumentalist Paul McCandless in Oregon, the big question for fans of this groundbreaking group (also featuring Mark Walker since 1995, making him the group's longest-lasting drummer/percussionist) was: how would...how could...they continue without him? 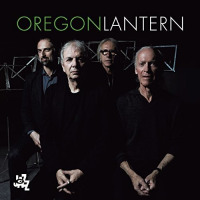 With Lantern, the answer is made clear: with the addition of Italian double bassist Paolino Dalla Porta, Oregon has once again experienced something of a shift, as it has through the small handful of superlative percussionists that have participated over the decades. Still, despite the loss of Moore's sharper tone and dry humor, the group avoids losing the unique qualities that have rendered it so important...and for so long. Towner's writing remains as incomparable as ever, while contributions from the other band members still fit the Oregon sound to perfection. The softer-toned (but still plenty muscular) Dalla Porta may now be the new kid on the block but, based on how well this relatively new quartet interacts, you'd never know it. The group doesn't break ground on a large scale as it did in its early days, but continues to make music that no other group could. 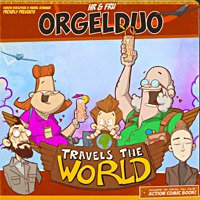 With the pan-cultural bent that long preceded the coining of the term, Oregon truly was one of the firstif not the firstgroups to suggest that music from many cultures could find a common meeting place under the rubric "World Music." It may be too diminutive a descriptor for Oregon's rich legacy, but for a reductionist term it'll do. Lantern represents a new era for the group; but with Towner now 77 and McCandless 70, it's hard to know how many more albums the group will have in it, making Lantern all the more precious. Having recorded with each other in various permutations and combinations over the years, clarinetist/saxophonist Sclavis, violinist Pifarély and cellist Courtois have only recorded together once before, on 2003's Napoli's Walls (ECM), but that was a larger group effort. 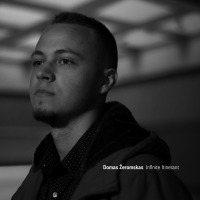 Bringing these three exceptional French musicians together as an egalitarian triowhere each musician's compositional input is as important as the next and and their improvisational acumen as key to this chamber ensemble's telepathic connectionwas an inspired choice. 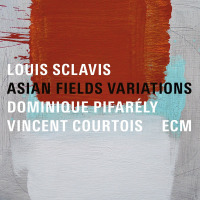 With label head Manfred Eicher realigning form and freedom throughout the sessions at Studios La Buissonne, Asian Fields Variations represents a high watermark for all three musiciansone that challenges while remaining utterly compelling. Slowly, with great care and a constant search for ways to challenge herself, classical pianist turned jazzer Eckemoff has been releasing increasingly impressive albums in the jazz sphere since 2010. 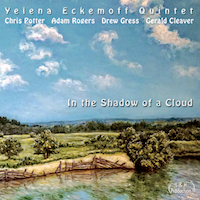 Each recording represents some kind of growth, but few as much as In the Shadow of a Cloud, with its A-list lineup of reed/woodwind multi-instrumentalist Chris Potter, guitarist Adam Rogers, bassist Drew Gress and drummer Gerald Cleaver. Beyond writing all the music on this two-disc set, Eckemoff continues to contribute poetry that relates directly to the music at hand, in addition to creating all the artwork that imbues her attractive packages. With a group of improvisers this good, Eckemoff is also driven to deliver some of her best playing to date, in the context of a book of music that runs the gamut from some of the pianist's freest to some of her most wonderfully detailed charts of startling complexity. But as challenging as her music can sometimes be, it's never for the mere sake of it, resulting in music that can be as gossamer-light as a cloud or as sharp and striking as a lightning bolt. This is one group that Eckemoff should consider recruiting again. Despite a relatively short time in the limelight, bassist/composer Jaco Pastorius left a lasting legacy that continues to influence subsequent generations of musicians and fans alike. 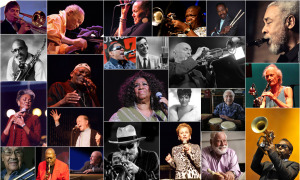 Thank you, Resonance Records, for putting together another of your characteristically comprehensive packages: in addition to the first-time commercial release of this entire 131-minute live performance, featuring the bassist's 22-piece Word of Mouth Big Band (with guest harmonicist, the late Toots Thielemans, also appearing on a full ten of its fourteen tracks), Resonance has packaged it with a 100-page booklet that is only superseded in depth and comprehension by Bill Milkowski's definitive biography, Jaco: The Extraordinary and Tragic Life of Jaco Pastorius: Deluxe Edition (Backbeat Books, 2005). The impeccable audio restoration (also worth checking out in higher resolution) ensures that this concert virtually bursts out of speakers with the kind of vivacity so definitive of the late bassist, whose career took a tragic downturn not long after this recording due to an untreated and increasingly severe mood affective disorder. 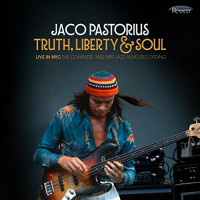 Another of the "gone, but not forgotten" musicians but one who truly left this mortal coil far too early, Pastorius' compositional voice and seemingly effortless virtuosity on fretless electric bass imbue a set of music that, with the inclusion of steel pan player Othello Molineaux, reflects the breadth of Pastorius' Florida roots. 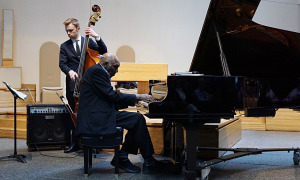 Those roots included everything from Caribbean music to soul and funk, all brought together with the deeper harmonic sophistication that has rendered many of his compositionsincluding "Three Views of a Secret" and "Liberty City," both performed hereas jazz standards studied and performed to this day. 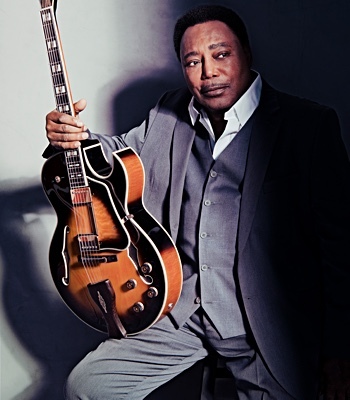 Copping his groundbreaking playing style remains a rite of passage for aspiring electric bassists around the world. This may be the best live document of a Jaco Pastorius performance ever issued. 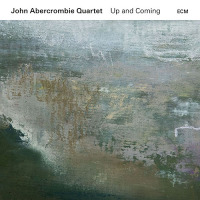 While ECM Records has released almost all of its new releases in various high resolution downloadable formatsand if you think their CDs sound terrific (they do), try them in higher resolutionsit is only slowly getting around to getting some of its classic early recordings out in the same format. 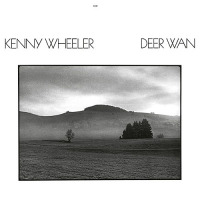 A quintet of seminal albums were released early this year, with the best of the bunch being Canadian expat trumpeter Kenny Wheeler's stunning Deer Wan, from 1978. 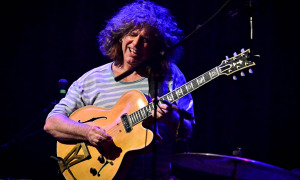 With a core group of label mates including saxophonist Jan Garbarek, guitarist John Abercrombie, bassist Dave Holland and drummer Jack DeJohnette fleshed out to a sextet on the album's brief but effective "3/4 in the Afternoon" with the addition of 12-string guitarist Ralph Towner, Deer Wan is often eclipsed by his immediately previous release, 1976's Gnu High. But utilizing the studio to create thicker layers of horns, while still leaving plenty of room for collaborative and personal extemporization, Deer Wan is a more sophisticated workone that remains a watershed in the trumpeter's sizeable discography. Sadly, there are no more to come, with the British resident trumpeter's passing in 2014. In 24/192 resolution, the dynamics are impeccable and the soundstage suitably large; Deer Wan sounds like what it might have felt to have been in the recording studio with these fine musiciansand, of course, label head/producer Manfred Eicher, who always manages to bring out the bestand the unexpectedin any musician or ensemble he chooses to record. 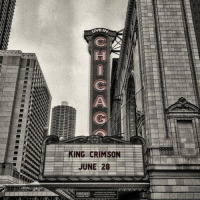 With the current eight-piece incarnation of King Crimsonfirst revived as a septet that began touring in 2014 but has continued on with no apparent end in sightincluding the return of Mel Collins for the first time since 1972, and the band performing plenty of material from its first four albums (three of which prominently featured the reed/woodwind multi-instrumentalist), this box set could easily have been called The Mel Collins Years. Not only does it include previously released 40th Anniversary Series stereo and surround sound remixes of In the Wake of Poseidon (1970), Lizard (1970) and Islands (1971) by Steven Wilson; this 21-CD, 4-Blu Ray, 2-DVD-A and one download megabox set also includes a whopping 23 soundboard recordings from mid-1971 through April 1, 1972a healthy representation of Crimson's first touring band since it dissolved almost entirely after touring the USA in support of its 1969 debut, In the Court of the Crimson King. The period following the first lineup's dissolution was a transitional one, as its sole remaining co-founders (guitarist/keyboardist Robert Fripp and lyricist/FoH engineer/lighting engineer Pete Sinfield) worked towards forming another lineup that could last long enough to actually hit the road. Alongside a bevy of additional, previously unreleased studio material that was not included in the earlier 40th Anniversary reissues, it's the live performances from the band that would come together and ultimately record Islandsfeaturing, alongside Fripp and Collins, bassist/vocalist Boz Burrell and drummer Ian Wallacethat are the box set's biggest revelations, along with over 90 minutes of rehearsal/audition tapes, as Collins and Fripp searched for new members for that band. Even when the lineup officially broke up in acrimony at the start of 1972, the fifteen live performances from their subsequent, contractually obligated North American tour demonstrate a band still pushing the envelope every night (even as Collins, Burrell and Wallace moved further away from the band's jazz leanings towards groove and funk). Personal and artistic differences may have been an undercurrent throughout that final tour, but they were completely invisible once the group hit the stage...other, perhaps, than driving them to deliver some of their best playing, which was never made clear with the lo-fi live swan song, Earthbound, released that year but included in this box in substantially expanded form, more accurately representing what an early '72 Crimson performance was like. Sailors' Tales' three studio albums are amongst the band's most overlooked, while the Islands lineup has been equally (and unfairly) neglected in favor of lineups like the one that came together later in 1972 for Larks Tongues in Aspic (1973). Between the current Crimson reviving a good deal of music from this period and the release of Sailors' Tales 1970-1972, there's a strong case for revisiting the band's early, transitional period between two touring groups as more than worthwhile. 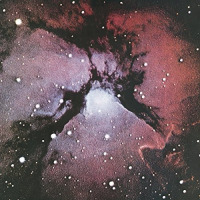 It may not have had the same heft as the LTIA lineup, but Crimson would never be as free, as improvisation-heavy or as completely unfettered as the Fripp/Collins/Burrell/Wallace incarnation, making Sailors' Tales 1970-1972 an absolutely essential document that fills in previous holes in its long history. Less overlooked than 1970-1972 Crimson, future Crim drummer Bill Bruford was part of one of the group's most widely regarded lineups from 1972-1974, following the breakup of the band documented on Sailors' Tales 1970-1972. But when Fripp pulled the plug unexpectedly on Crimson in the fall of 1974, the former Yes drummer found himself without a job. 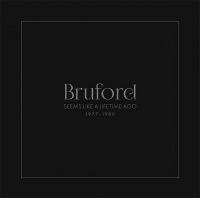 A variety of collaborations led, almost inescapably, to the formation of his first band, aptly called Bruford. Featuring a group of virtuosic but rarely excessive and never superfluous musicianskeyboardist Dave Stewart (Hatfield and the North, National Health), guitarist Allan Holdsworth (Soft Machine, Tony Williams New Lifetime, Gong) and bassist Jeff Berlin (Gil Evans, Esther Phillips)Bruford recorded two still-seminal studio recordings, 1978's Feels Good to Me and 1979's One of a Kind, before Holdsworth departed, to be replaced by protége John Clark, given the title of "the 'Unknown' John Clark" by the characteristically dry-witted drummer. Clark may not have been as groundbreaking a guitarist as Holdsworth (who would go on to lead a creatively untouchable solo career soon after), but he was still a fine playerone=whose whose contributions are made far clearer on this six-CD, two-DVD-V box set which includes current Crimson guitarist/vocalist Jakko M. Jakszyk's new stereo and surround mixes of Feels Good to Me and One of a Kind, along with remasters of the live The Bruford Tapes (1979) and studio swan song, Gradually Going Tornado (1980). But it's the two previously unreleased CDs that are this box set's revelation. Live at the Venue, recorded almost a year after The Bruford Tapes (which captured the Clark lineup in its relative nascency), is the bigger find, spotlighting a band that, with considerable touring under its belt, had evolved into a more confident, unified and compelling working group. 4th Album Rehearsal Sessions, culled from on-the-rehearsal-room-floor tape recordings, suggests where the group might have gone had it been more financially viable and, thus, able to continue. Falling under some criticism for its lack of high resolution remixes, Seems Like a Lifetime Ago still represents this relatively diminutive discography at its absolute finest and definitive, the band's history documented with particularly strength in Crimson scribe Sid Smith's as-ever detailed and informative liners. Another essential set. While his previous post-Porcupine Tree solo albums point in a progressive rock direction rooted more decidedly (if far from completely) in the '70s, guitarist/bassist/keyboardist/singer/songwriter Steven Wilson's tastes have always stretched farther afield, as projects including No-Man, Bass Communion and Incredible Expanding Mindfuck, amongst others, have made clear. For his fifth studio album since 2009's Insurgentes, where he made the leap into a solo career that has been on an upward trajectory ever since, Wilson looked to '80s progressive pop acts like Peter Gabriel, Kate Bush, Japan and Talk Talk for some of To the Bone's key inspirations. The idea that pop music can, indeed, be progressive is far from new, but this was still a calculated risk for Wilson as he also found new management and a new label to aid him in building his audience even further. As progressive in intent and stylistically broad-reaching as ever, To the Bone largely dials down the '70s prog approach that was so successful with 2013's The Raven That Refused to Sing (and Other Stories). 2015's even more successful Hand. Cannot. Erase. 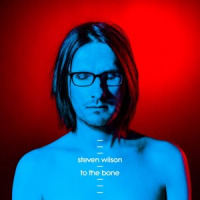 may have foreshadowed what was to come in its stronger pop affiliationa tendency far from new when looking back to Porcupine Tree songs like "The Sound of Muzak," "Even Less" and "Lazarus"To the Bone remains Wilson's most fully intended pop record to date. Largely gone are the epics and the overtly virtuosic soloing, though he continues to surround himself with terrific musicians that have helped him raise his compositional game, including longstanding keyboardist Adam Holzman and bassist Nick Beggs. As he hits the road to tour To the Bone in 2018, it will be intriguing to see what else he includes in his setlist. Will he focus on the shorter, more pop-oriented songs from his solo and pre-solo career, or will there still be room for a few more progressive leaning epics? Hard to say, but it matters not. If his tour follows the prescription of those pastconstantly ramping up the live experience with ever more impressive visuals, exceptional sonics and set lists that form their own narrativesit's almost certain that Wilson's audience (and overall demographic) will continue to grow, and that the music from To the Bone will be even more exhilarating in concert. 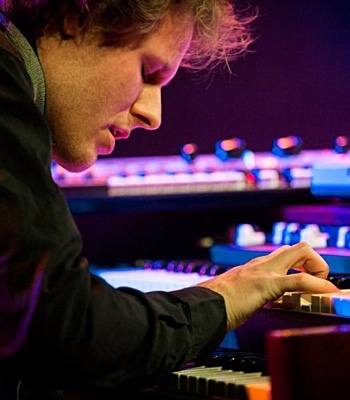 Speaking of Steven Wilson, woodwind/reed multi-instrumentalist Theo Travis was amongst the members of his first touring band, touring the world twice from 2011 through 2014. It was an incredible combination of stellar musicianship and unexpected chemistry that was so fundamental in getting Wilson's music out to the world and building an audience. Travis remains sorely missed by some, even as Wilson's music has largely evolved to a place where reeds and woodwinds are less essential. Travis remains in-demand, however, as he continues to work in a variety of other contexts, ranging from a brief tour with ex-Pink Floyd guitarist/vocalist David Gilmour to more lengthy tenures with Soft Machine and The Tangent. But Travis has also amassed his own discography as a leader gradually. 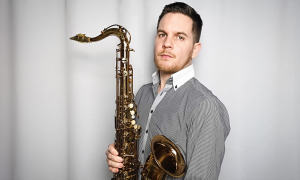 Open Air leverages his self-developed Ambitronics, his flute/saxophone equivalent to guitarist Robert Fripp's Soundscapes (and which the two have explored together in a series of duo recordings and tour dates). But Open Air is Travis alone, barring guest cellist Judith Herbert on the album's opening track. Unlike his previous solo flute effort, Slow Life, where Travis employed only alto flute, Open Air expands his sonic palette with a series of metal and wooden flutes. 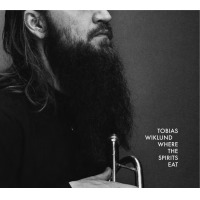 While much of the album is improvised, Travis draws upon his own compositions of as foundations, in addition to outside sources like fellow reed multi-instrumentalist John Surman, to create an album that he describes as "beatless, ambient flute music." 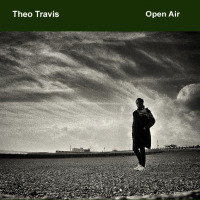 Released solely on vinyl and in a limited run, Open Air impresses in the softest, most atmospheric way possible, and demonstrates one more reason why Travis has remained such an in-demand musician in jazz, progressive rock...and music beyond categorization, as Open Air most certainly is. And it all comes back to Crimson. Amongst the now four-strong live released by the current variants of the group since its return to active duty in 2014, Official Bootleg: Live in Chicago, June 28th, 2017 may well be its most impressive yet...and that's saying something. 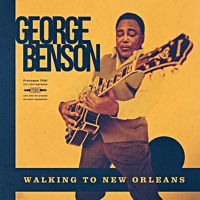 Captured, warts and all, from a soundboard recording during the group's summer tour of North Americaand recorded just a few days before its two dates in Montreal and Toronto, Live in Chicago documents the first-ever live recordings of material dating as far back as 45 years...and, in one some cases, ever. As staggering as it is to hear Lizard's "Cirkus" performed with (up to) three keyboardists, two drummers, woodwinds/saxophones, guitars and voices, it's the second half of that album's second siderunning the gamut from hauntingly foreboding and all-out chaos to, in the closing "Prince Rupert's Lament," the dream of Crimson guitarist/vocalist Jakko Jakszyk to hear Robert Fripp play, in concert, what remains one of the Crimson co-founder's most memorable moments first caught in the studio. Of course, Fripp's performances with this current incarnationand as is true for everyone in the group, as it so ably and thrillingly reinvents material that now covers music from every prior lineupare never the same twice. And so, Live in Chicago captures nothing more nor less than a particular moment in timealbeit a rather long one as the two sets approach two-and-a-half-hours in lengthand a snapshot of a setlist that continues to evolve each and every year, as the group continues to write new music and bring old music made new again into the repertoire. With Crimson's 50th anniversary approaching in 2019and word floating about that 2020 may even be possibleit's a certainty that each and every subsequent tour will bring even more surprises and reasons to attend. Official Bootleg: Live in Chicago, June 28th, 2017 is yet another demonstration of this lineup's ability to bring nearly a half century of diverse music to concert halls in ways that no prior lineup ever could.